MAGONIA MAGAZINE ARCHIVE: Apocalypse When? The sixteenth and seventeenth centuries were the heyday of prophecy. Popular chapbooks told of the amazing abilities of figures like Mother Shipton, and quoted after the event verses which appeared to foretell events such as the Spanish Armada and the Civil War. Real historical figures like Roger Bacon might be invoked, and prophecies allegedly discovered hundreds of years after their death would turn out to be relevant to the news of the day. The writings of Nostradamus are the only survivors of this literature that continue to be republished and evoke a response in public consciousness. To some extent it is easy to see why. 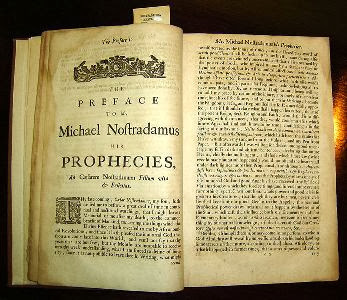 Alone among the alleged authors of the prophecies of his era, Nostradamus was a real person rather than a legendary figure, who published the prophecies himself. However, the reputation of Nostradamus remains a semi-underground one, with many who have never read a single book on the subject vaguely believing “there must be something in it”, or aware that Nostradamus is credited with seeing World War II or future nuclear devastation. The reception of Jean Charles de Fontbrune’s book Nostradamus  has been the most remarkable recent manifestation of belief in Nostradamus. 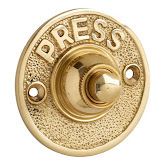 Its first appearance in France in 1980 was the subject of major news stories in the popular press of several European countries, and even inspired cover stories in journals such as Der Spiegel and Die Ziet. An opinion poll in France shortly after its publication revealed astonishingly that 75% of the French population were aware of this book, and 25% believed its forecasts of the future. To a large extent this book has now discredited itself. It is now 1985 and there is no sign of the Soviet-Arab invasion of Europe, which should already have taken place, according to de Fontbrume’s readings. And while sudden surprises do occur in the political world, there seems little reason to expect the restoration of the French monarchy by 1986, his final date for these events. These facts however did not prevent Hutchinsons bringing out the British edition in 1983, when some predictions had already been falsified, and Corgi from reprinting it last year. An eloquent testimony to the scant regard publishers have for their own books on occultism and their low opinion of the intelligence of potential readers. However, since this is unlikely to be the last Nostradamus book, it is worth examining de Fontbrune’s methods in some detail. This specifically describes a riding accident in which a rider falls with his foot rapped in the stirrup and is dragged by the horse. De Fontbrune is obviously unable to find any royal heir who has died in this manner, so he claims this relates to the death in 1842 of the eldest son of Louis Phillipe of France who died, as the book itself makes clear, by being thrown out of a coach pulled by a bolting horse. A very different matter. There will be talk of peace between powerful heads of state but peace will not be agreed for the heads of state will be no wiser than any other. Surely it would be tedious to list the number of failed peace conferences since the sixteenth century that could be claimed to fulfil this prophecy. Newcomers will build town without defence and occupy hitherto uninhabitable places. They will take with pleasure fields, houses lands and towns. Then famine sickness and war shall be on the land tilled for a long time. In fact these words could equally apply to the opening of the American west, followed by the civil War and the Indian Wars, or to the British settlement of the Falkland Islands and the war with Argentina. Power will be changed by life and death in Hungary. The law will be more pitiless than customs. to the Hungarian uprising of 1956 but they fit equally the Communist revolt of 1919 or the nationalist rising of 1848. Indeed, it would be hard to think of a country that, since the time of Nostradamus, has not had some kind of revolution to which these words apply. There are other serious objections to Fontbrune. The most serious is that like most modern commentators, he makes no attempt to put Nostradamus in the context of his own time, and analyse what his language and references meant to his original audience. As anyone who has ever read any commentaries to Shakespeare will know, this is a job which, as with any writer of the past, calls for a great deal of knowledge. With someone like Nostradamus, who deliberately cloaked his words in obscurity, it is doubly difficult. The speeches at the Lake of Geneva will cause ferment; days will be followed by weeks then months, then years, then everything will collapse and legislators will curse their vain laws. This is taken to refer to Geneva’s modern role as a centre for international conferences, and the neglect of the Geneva Convention in modern warfare. But it would have been obvious to any reader of Nostradamus’s time that this was simply a prediction of the fall of Calvinist Geneva, which was known throughout Europe for its long sermons and harsh laws. When one attempts to look at Nostradamus in this light, many apparently impressive hits start to fade away. Like many writers, de Fontbrune is impressed by one verse that contains the names of two twentieth-century Spanish leaders: Rivera and Franco (in ‘Castelfranco’). However, Rivera and Castelfranco are both towns in northern Italy, where many wars were fought in the sixteenth century. There is a similar explanation for the repeated claim (not however to be found in de Fontbrune’s book) that Nostradamus’s mentions of ‘Hister’ are prophecies of the life of Hitler. Although this is perhaps the best known of Nostradamus’s ‘hits’ in fact Hister is simply the Latin name for the Danube, and it is clear from the contexts in which this name appears that that he is writing of a river, not a person. The leader who will have lead the immortal people far from its own sky will end his life in the middle of the sea on a rocky island with a population of five thousand whose language and customs are different. Cinq mil en Crete et tessalie finy. Crete and Thessaly have become “a rocky island”. There are many similar examples. Le sainct empire viendra en Germanie becomes “The Russians will come into Afghanistan”. We are told that Russia is le sainct empire because of its traditional name of Holy Russia, but there is little explanation of how Germanie has become ‘Afghanistan’. Can misrepresentation go further? Indeed it can. The whole context of the prophecies is misrepresented. The majority of them come from the Centuries, Nostradamus’s main collection of prophetic verses, but some of them are reprinted from another of his works, the Presages. However, the reader is not informed that the Presages were a sort of almanac with predictions attached, very unsuccessfully, to specific months in the near future. De Fontbrune ignores this and links verses from the Presages to events centuries after Nostradamus. He also suppresses the introduction Nostradamus wrote to his original Centuries in which he gives a prose outline of his predictions for the future of Europe, which bear no resemblance to anything that has really happened. For example, he predicts a revival of the Venetian Empire so that by the end of the eighteenth century it would be as powerful as Rome. The compiler quotes merely half a sentence from this introduction, and does it in a way that makes his deliberate misrepresentation clear. Nostradamus foretells that the eighteenth century will see a major persecution of the Church which will last to 1792. De Fontbrune takes only the second half of this sentence and quotes it as “It [the French monarchy] will last until 1792″. From the past, de Fontbrune moves on to depict an immediate future (when the book was written) in which Europe is invaded by Soviet and Arab armies, liberated by Anglo-American forces. A restored French monarch, King Henry, completes the rout of the invaders. Apart from the presence of Russians and Americans, all these themes do in fact correspond to important elements in the prophecies of Nostradamus, but her again they must be taken within the context of their times. Most of the prophecies relate to what Nostradamus expected for his near-future. He states in his introduction that he cloaks his prophecies in obscure language to protect himself from the authorities, a procedure that would be pointless if he really thought they related to events centuries hence which would be meaningless to his contemporaries.. There are certainly many verses that indicate he expected a major war between Christendom and Islam in the future, but this would hardly be surprising in an era when the Turks still threatened Vienna and Arab pirates raided all over the Mediterranean. Much interesting background to Nostradamus is to be found in the book by David Pitt Francis , who unlike de Fontbrune, makes a serious attempt to present Nostradamus in the context of his times and as a result comes to largely sceptical conclusions. However in the process he does resort to some dubious arguments. His attempt to compile a statistical analysis of Nostradamus does not seem convincing to me, in view of the difficulty of properly quantifying much of the data. Neither does there seem to be much real evidence for his suggestion that some later rulers may have deliberately undertaken certain acts to make it look as if Nostradamus predicted their actions. It is not clear until the final section that the author is an evangelical Christian who believes that some of Nostradamus’s successes may have come from his knowledge of the prophetic books of the Bible. I find this suggestion neither necessary nor convincing, although like most other authors of the prophetic literature of the period, Nostradamus was probably influenced by the apocalyptic sections of the Bible. 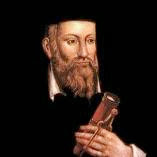 The revival of interest in Nostradamus at the present time is an interesting phenomenon. De Fontbrune was probably fortunate in that his book, which touched much of the interest off, first appeared in 1980 at a time when international tension was growing and fears of a nuclear war were reaching public consciousness. Although there is no real reason to believe that Nostradamus foresaw any of this, the revival of interest in centuries-old apocalyptic works is a very real sign of the times. Jean-Charles de Fontbrune. Nostradamus; Countdown to Apocalypse. Hutchinson, 1983; Corgi, 1984. Keith Thomas. Religion and the Decline of Magic, Weidenfeld, 1971.